Two college lovers face an ancient evil when a strange rock band comes to town. Started ok...but straight downhill from five min. till end. I give the only good comment to C.Thomas Howell; he is a good actor, but not in this film. 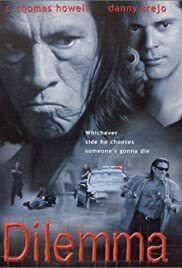 This farcical account of an escaped death row inmate as the world's only bone marrow donor to a dying young girl is a bust from Salazar's (Danny Trejo)escape as well. I'll just say this;where did they obtain guns that fire so much without a reload for this entire flick? Bottom line...do not waste your rental money or even cable time on this one. I hope more people see this one though and vote enough to put it in the bottom 250. However, if you liked US Seals...this is YOUR movie.